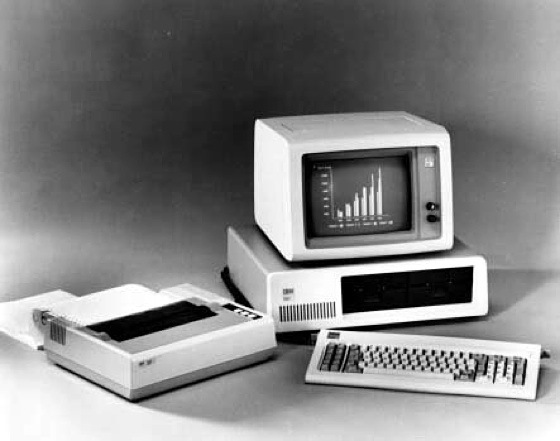 IBM announced its new machine, the 5150, on 12 August 1981. It was no ordinary launch: the 5150 wasn't the 'big iron' typical of Big Blue - it was a personal computer. Here's the original 1981 announcement (PDF). IBM came late to the party. Through the 1960s and 1970s, it had focused on corporate computing: expensive mainframe and, later, mini computers. But by the end of the 1970s, it had seen the likes of Tandy's TRS-80, Commodore's Pet and Apple's Apple II win support from smaller businesses, individuals and even in some of the big companies IBM traditionally targetted. 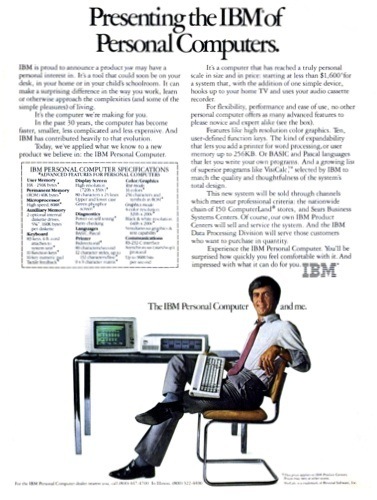 IBM bosses realised there was clear demand for a single-user system, and while their emphasis on big machines would continue, it was clear that the personal computer was an opportunity open for exploitation. 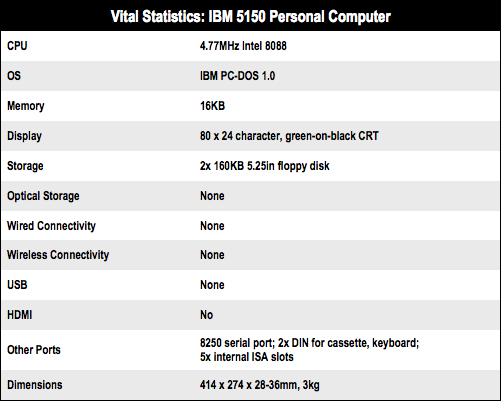 The 5150 - the machine that would eventually be called, simply, the IBM PC, was developed by what was at that time a little known part of the company, the Entry Systems Division, based in Boca Raton, Florida. A 12-strong team was assembled under Don Estridge, the Development Director of the project, codenamed 'Chess'. Lewis Eggebrecht was brought on board as Chief Designer. Rather than create the 5150 from scratch, Estridge's engineers used existing parts from a variety of other companies, seemingly in marked contrast with IBM tradition. The company made a virtue out of the fact that it made the components used in its machines. When you bought an IBM computer, it had IBM's imprimatur of quality through and through.